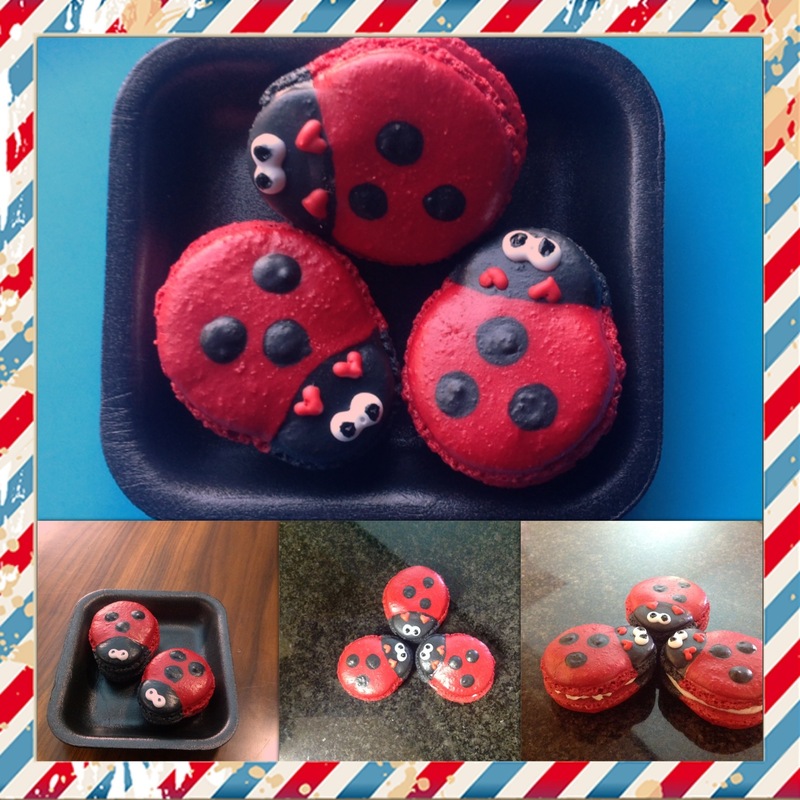 I had a request for ladybird macarons. These were really fun to make, mainly because I loved the post baking decorating. I would say the hardest part would be getting the shells uniform enough to pair up so that they didn’t look wonky. My girls absolutely loved them! I did a dark chocolate ganache, red velvet with cream cheese frosting and white chocolate ganache. I always use powder colours when making macarons because I’ve found that the gel or liquid colours change the consistency so Ive ended up with a few flopped batches. I used a few containers of powder to get them black because one definitely won’t do the trick. 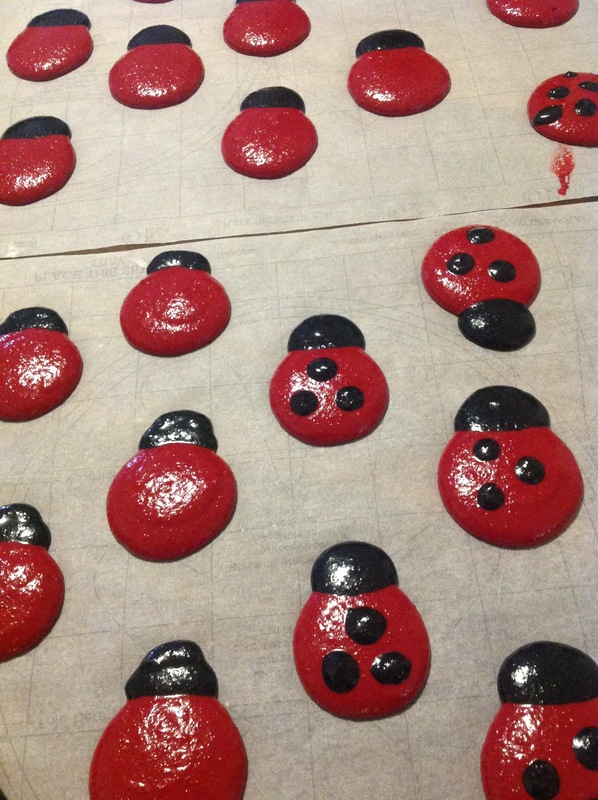 For these ladybirds I used Barco powder colours. If I remember correctly it was around 3 containers of 5g each. I basically kept adding until it was black.